I got my first headphones for free alongside my first electronic drum set and didn’t bother about these things at all…Until I got a pair of brand ones much later and was blown away by the difference they made. So once you’ve found the right electronic drum set for your purpose, they won’t be any good without the right heaphones. They will make or break the sound of the kit, and that will make or break your motivation to practice. And this is why I’ll show you my 4 best headphones for electronic drums. These don’t have to be expensive, but obviously more expensive ones will deliver more in terms of price and durability. Good sound range from tight bass drums to high splash cymbals. And in terms of quality, they sound good to my ears too (and to many other reviewers on Amazon). But in the end, quality judgements are always subjective. With 32 decibels in noise reduction, you won’t hear a thing when hitting your pad with the headphones plugged in. High noise reduction allows you to use them with acoustic drum sets too (when playing in band setting etc.). Sweat-proof headband convenient for long practice / live sessions. The Alesis DRP100 come with a 6ft cable and an 1/8” jack (for smartphones, iPhone, iPad, computer etc.) as well as a 1/4” adapter to connect them to your electronic drum set. They reduce noise by 32 decibels and have a sweat-proof headband made of silicone for flexibility. And the whole thing comes in a protective bag. The Alesis DRP100 are the cheapest headphones in this review. But Alesis also makes what to my mind are the best electronic drum kits for the cheapest prices. So I’ve had fun practicing with them, and they have given me good sound on stage as well as during home recording sessions. And since I like to practice for shorter stretches of time (but every day) the ear cups’ tightness doesn’t bother me that much. Adjust to any headsize, even for children. They fit comfortably through foam cushions inside the ear cups. I can easily play through a 2 hour practice session or band rehearsal with these. 24 decibels in noise reduction is still enough to use them with an acoustic drum set too. The Vic Firth have a low impedance (32 ohms). A higher one would be more expensive and mean potentially better sound quality – but only if you use a headphone amplifier which electronic drum sets don’t. 32 ohms gives you maximum quality without making you pay more than necessary. You cannot connect them to the electronic drum set out of the box. You need to buy a 1/4” to 1/8” adapter like this first. Drummer friends of mine, especially those teaching kids, told me that the headphones broke after a few months (torn headband or piece of plastic broken off the earpiece). I haven’t experienced that with mine and there are lots of positive reviews on Amazon, but it does happen. 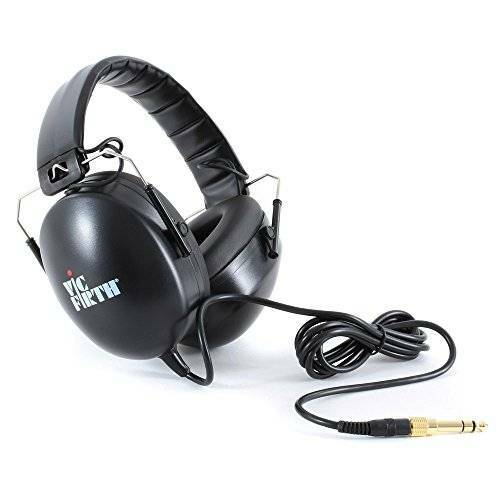 The Vic Firth Stereo Isolation headphones feature two tightly-fitting ear cups that are connected via two metal bars covered in leather. They have a 6ft long cable and a 1/8” jack (for smartphones, iPhones, iPads, computers etc.) and reduce outside noise by 24 decibels. Since the Vic Firth’s and the Alesis DRP100 are priced almost the same, I personally would go with the Alesis for the simple reason that they look slightly cooler to me. Yet, I very much like the tight fit of these headphones around my ears. It’s almost as if wearing them gives my drumming concentration a boost. And it’s obviously cool to be able to use one pair of headphones for both electronic and acoustic drumming. 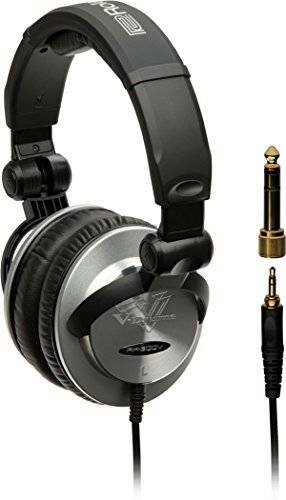 These headphones give you the full sound range and clearly deliver even the otherwise less noticeable parts of a song (background vocals) or a drum set (brushes, light ride cymbals etc.). At a given input the Sony MDRs are louder than many other headphones, so this makes partially good on the non-existent noise cancellation (below). Longest cable in this review enables you to stand up from the set without taking off the headphones each time. They block out external noise through their closed-ear design, but there is no active noise cancellation. This is enough for playing electronic drums, but unlike the Alesis or Vic Firth, the Sony MDRs cannot be used for acoustic drumming / band situations. We’ve heard this several times now, but it is THE malady of headphones: wear and tear. The Sony MDR are not immune to it, and some people report that the ear cups do come off, since they are only attached by a thin plastic rim that slides around the earpiece. And agan too: mine luckily didn’t come off, but you should be aware of this. The Sony MDR-7506 come with two close-fitting ear cups that can be folded up for storage. The cable is 9.8ft long, ends in a 1/8” jack can be made into a 1/4” one through the adapter in the box. 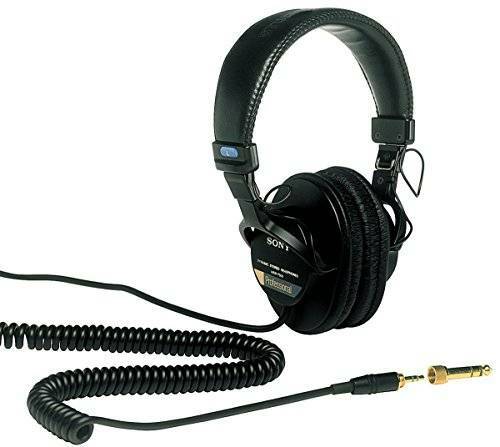 The Sony MDR-7506 are slightly more expensive than the Alesis DRP100 or the Vic Firth Stereo Isolation headphones. This slightly higher price is, in my view, matched by the noticeably higher sound quality. This is good for me as I sometimes record with my electronic drums and like to switch the headphones from kit to laptop to gauge how well (or bad) that take went. That accuracy is important for me, and therefore I was also okay with buying an additional pair of headphones for acoustic drums / band gigs. So what are your requirements? These headphones articulate the lows and highs of the elctronic drum set, because that’s what these kits need and many other headphones don’t do. They really bring your electronic kit’s sound out fully. They are sturdy. No mentions of earpieces coming off here. Comfortably tight fit through head strap cushion with no sliding around. No active noise cancellation, so these don’t work for bands / acoustic drums. 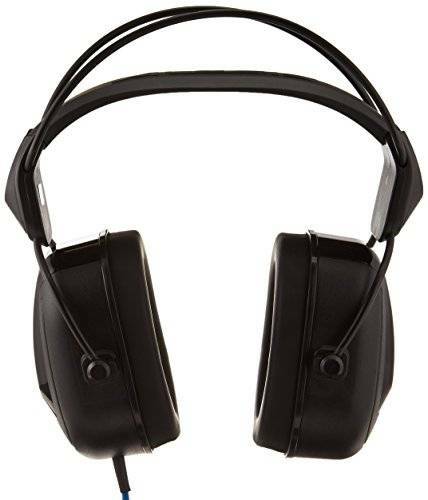 These Roland headphones are made by the leading manufacturer in electronic drums and will make audible a wide range of frequencies (through 50mm drivers and 10 Hz to 22 kHz frequency response – the other headphones so far had 40mm drivers and 20 Hz to 20 kHz). The Roland RH-300V have a soft cushion head strap, fold up for storage and have closed-back ear cups (meaning they isolate the noise). The cord is 8ft long and ends in a gold-plated 1/8” plug that can be connected to your electronic drum kit via the 1/4” adapter in the box. The Roland RH-300V are quite expensive, but for me they are worth it, because a good electronic drum set sound makes or breaks my motivation to play. I’ve been using a pair of cheaper Roland headphones before, and while these sounded good, I’m really amazed by the RH-300V. Again, they are probably not best for mixing recording, but I have other headphones for this. So it comes to down the allround-or-specialized sound decision. So there you have my best headphones for electronic drums! Do you have a question left? Or do you own a pair of headphones yourself? Let me hear your question or story in the comments. I reply 100% of the time. Thanks Carlos! Hope you found yourself some good headphones! Hi Yannick. Many thanks for the helpful review! I really enjoyed reading it, you are a brilliant writer. I actually added your blog to my favorites and am looking forward to more updates! Thanks Sonny, I really appreciate that! New posts / reviews will follow soon! Should the headphones be the type that wraps completely around the ear? I have a pair of Kenwood KPM-310 on-ear headphones that I have used for years(for practice w/acoustic drums) and have had success. Just wondering if I should upgrade upon soon purchasing an electric kit. By the way, your review of the Alesis kits has been thorough and has answered so many of my questions! Your research and time is much appreciated. If they wrap around your ear you’d get an additional noise cancelling effect. That can be nice for electronic drums, since you’d not get the “toc”-“toc” noise of hitting a stick on rubber. However, the decision is ultimately up to you. I have no general objections to using the Kenwood with an edrum kit. In fact, why not try it out and get new headphones if needs be. If you need some, this article should give you plenty of options. Thank you for your prompt reply! As you have said, I can certainly try the Kenwoods I have to start and upgrade if needed. I read all the reviews of the four types of headphones you provided links for. Again thanks for your research. You mentioned the elimination of outside noise, which is a point I hadn’t thought of. Question here. I just purchased the Aerodrums today, & I’m wondering if any of the headphones you’ve reviewed above, (specifically the Roland RH-300V) would be a good option to use for them. I would like to know your opinion on that. Additionaly, I already own the apple wireless earpods, & I am wondering if you know if they will work well with the program. I know those aren’t in your article but I thought maybe you will know. Thanks for your kind words – I highly appreciate it! Well, as you will have read the Roland RH-300V are a very good pair of headphones and they will certainly do as well used on Aerodrums as they would on any drum set or other audio device really. Only thing you should think about is: does the 1/4” cable the Roland come with plug into your laptop / computer fine or would you need such an adapter (that would be the case for my laptop). As for the Apple wireless earpods: they should work fine too. I haven’t used a pair of those with Aerodrums but since you would connect them via Bluetooth, there is absolutely no reason they shouldn’t work. If they work for listening to other music / sound on your computer, Aerodrums should be no exxception. Which ones in your opinion are best for playing along with music through my Dtx module? They all work pretty well for that, but my personal favorite are the Sony MDR. I’m pretty sure that none of these headphones have “active” noise cancellation (i.e., there is no powered circuit that’s generating a cancelling wave to the outside noise). You have given a good review, though, of which ones provide the best isolation and that’s exactly what I was seeking. Thanks! You’re absolutely right. None of them have noise cancellation, like for example Bose headphones have. Yet, I don’t think active noise cancellation would be beneficial for drumming, because you’d end up hearing so little of what you’re actually playing. Thanks for your comment and your kind words in any case!